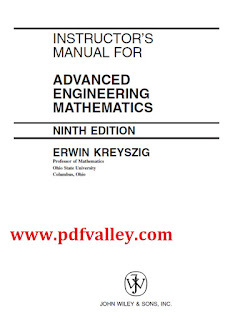 You can download Solutions manual for Advanced engineering mathematics 9th edition by Erwin Kreyszig free in pdf format. 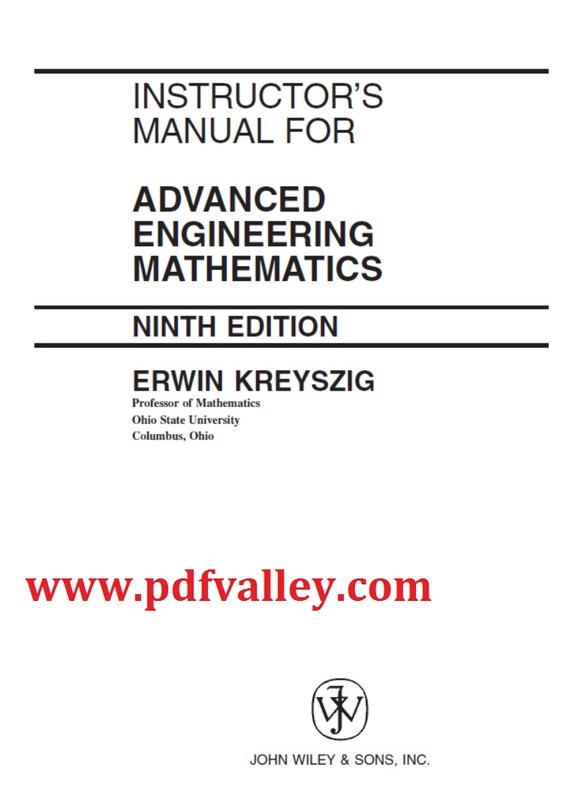 This market leading text is known for its comprehensive coverage, careful and correct mathematics, outstanding exercises and self contained subject matter parts for maximum flexibility.Thoroughly updated and streamlined to reflect new developments in the field, the ninth edition of this bestselling text features modern engineering applications and the uses of technology. Kreyszig introduces engineers and computer scientists to advanced math topics as they relate to practical problems. The material is arranged into seven independent parts: ODE; Linear Algebra, Vector Calculus; Fourier Analysis and Partial Differential Equations; Complex Analysis; Numerical methods; Optimization, graphs; and Probability and Statistics.